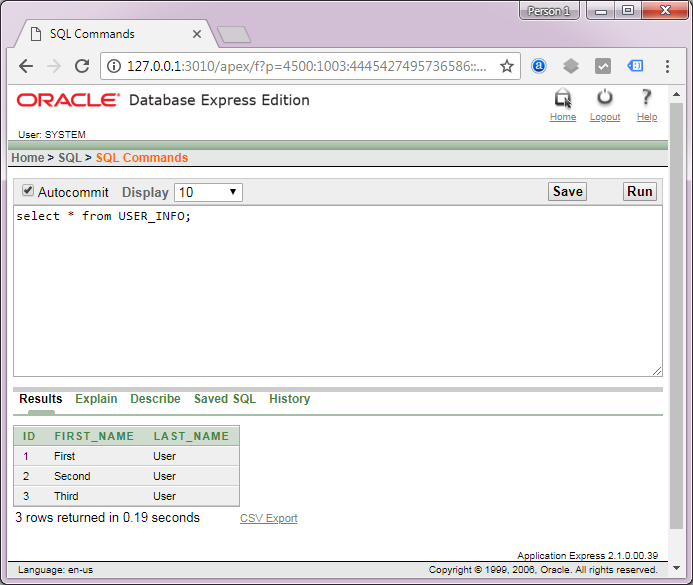 In our last article, you saw how to retrieve multiple columns of a database table(mapped from a class) using CriteriaQuery API. Today, we are going to show you how to retrieve all the records of a database table in a descending order/ascending order based on the values of specific property of a class, using CriteriaQuery API. Project Folder - CriteriaQueryRetrievingRecordsInOrder is the name of our Project and it is a top-level directory. 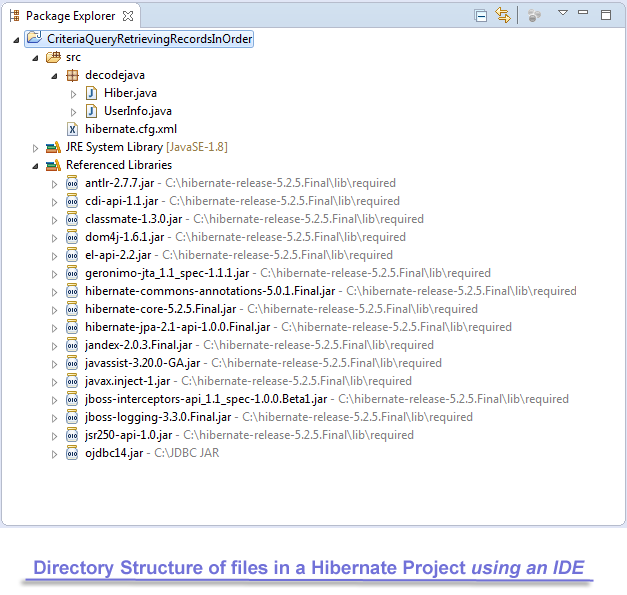 This output shows you all the SQL commands executed by the Hibernate within the database to create the tables and save three objects and finally retrieving all the records of a database table User_Info in an ascending order and then in an descending order of a property named firstName of UserInfo class, using CriteriaQuery API.